Thick bulbous hanging lips can be carved to thin lips. The procedure can be done as outdoor procedure under local anaesthesia. Wedge excision of thick lip is done with or without tightening of muscles of lip depending on individual liking. Lips are swollen after surgery which may persist for one two weeks. No needs of any dressing after surgery. Some individuals like more bulky and protruding lips. This can be done by injection of various derma fillers. Effect of these last for 3 to six months. This is done as outdoor procedure . Slight swelling and or redness may appear which last for a day or two. A cleft lip is an incomplete upper lip formation present at birth that appears as a separation on one or both sides. An incomplete formation of either the hard or soft parts of the upper palate inside the mouth is a cleft palate, also present at birth. These defects may cause impaired feeding, speech, dental development and hearing, and will require surgical treatment by a team of specialists. Cleft lip repairs are initially performed when a child is at least 10 weeks of age and 10 pounds in weight and has a hemoglobin (or blood count) of at least 10. Cleft palate repairs are generally performed when a child is somewhat older, from 9 to 18 months of age. Both above defects are surgically correctable problems. Child becomes as good as normal after full course of treatment. Unilateral and Bilateral—-Surgery is done at three Months and above. If surgery not had done in child hood it can be done at any age. more then ten gmChild should be in GOOD HEALTH STATE and FREE FROM ANY INFECTION. CBC, ( Hb.TLC,DLC, ESR,), BT,CT Pre operative consultation from Paediatrician for fitness of surgery. SURGERY—Child is admitted one day before, antibiotics are given and under standard general anaesthesia repair of cleft lip is done. I do modified Mellard’s rotation advancement flap. Feeding is started on same day six hrs after surgery. Usually child is discharge on next day if every thing is Ok. Suture removal is done after six days of surgery. No specific care is required after surgery. Parents should take care that child should not get injured or fall from bed. CLEFT PALATE—Defect in palate can be unilateral, bilateral or partial and only bifid uvula may be present. Nine months to eighteen months. Preoperative investigations.Hb,TLC, DLC, ESR, and BT, CT. Pre operative paediatric consultation. Weight should be more then nine kg and child should be free from any active infection. Child is admitted one day before surgery, preoperative antibiotics are given. Child is operated under standard general anaesthesia. Standard palatoplasty is done using vicry suture. Child is kept nil orally for six hrs after surgery and then given clear fluid in full awake state very slowly .Patient is discharged after one or two days after surgery. There is no need to remove sutures. spoon feeding is better then bottle feeding. Multiple small feeds at short intervals should be given. During feeding child head (upper body part) should be kept above ( 45 degree angle ), and after feed allow him to do —-Dakar. After feeding put child in lateral position rather then supine. We should take all precaution that child should not aspirate. Above two surgeries are basic surgeries for these patients.Child may need other surgeries to correct secondary deformities, and surgery for correction of speech is needed. 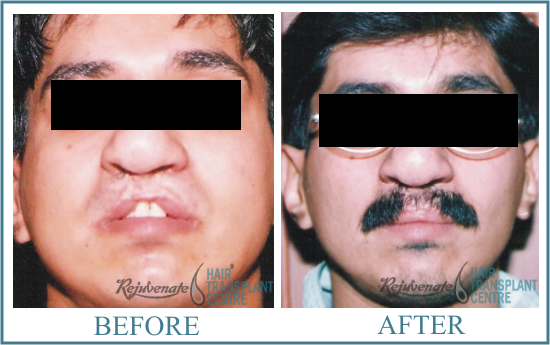 Speech therapy, orthodontic treatment, rhinoplasty may be needed. These surgeries I will be covering further bulletin. 1. Lip scar, whistle deformity means defect of vermillion. Cleft lip nasal deformities, flaired alae, deviated nasal septum, columella deformities. Alveolar defect, deformed teeth etc. Above all defects needs attention and correction at different stages. 2. Clip scar and vermilion deformities can be corrected at earlier stage. 3. Cleft lip nose deformities can be corrected at later age, may be after 15 yrs of age.Some prefer to do it at much earlier age. 4. Alveolar bone grafting, orthodonatic correction can be done after eight years of life. 5. 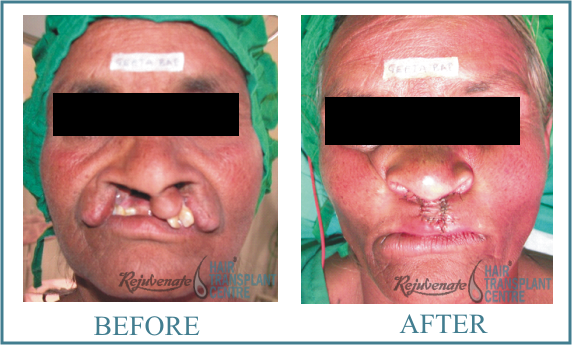 Fistula closure can be done after two years and pharyngoplasty after three years of age. 6. Patients of cleft palate may need speech therapy also. 4. Photo-aging, Skin texture, increase Pore size, Wrinkles. Facial wrinkles, uneven pigmentation and certain scars can be improved by laser skin resurfacing. The procedure uses a laser beam to vaporise damaged tissue, revealing the new skin underneath. The outward signs of ageing may be diminished and the tone and condition of your skin improved, unveiling a fresher, more youthful appearance. If you are considering laser skin resurfacing, you need to be thoroughly informed about the procedure. Reading this is the first step. A confidential consultation with one of our specialist surgeons is the best way to obtain the additional information you will need. Ageing, sun exposure, hereditary and lifestyle factors may all contribute to facial wrinkling. Pigmentary changes of the skin may also occur with age. Prior acne can make the surface of the skin uneven. Many times the loosening of eye lid skin or bogginess of eye lid takes place which affect your appearance. The BLEPHAROPLASTY can improve the appearance of the upper eyelids, lower eyelids, or both and restoring firmness to the area surrounding the eyes and making you look more rested and alert. 2. Excess skin hanging and hampering vision. This surgery usually done under local anaesthesia and patient can go home on same day. An incision is given within the natural crease of the eyelid. This will allows access to remove excess skin, muscle and underlying fatty tissue. Using an incision inside the lower eyelid, fat is removed or redistributed and muscle modified to correct a baggy lower eyelid. After proper measurements the excess skin can be excised if necessary. Redness (Bruising ) subside in 5-10 days and swelling should subside in 2-4 weeks. Final results may appear in 1-2 months. Incision lines will continue to refine and fade for 1 year.Cold fermentation immediate after surgery can be given to reduce swelling. During the consultation you will be asked about the results you would like to achieve from laser skin resurfacing. This will help your surgeon to understand your expectations and determine whether they can realistically be achieved. In evaluating your suitability for treatment, your surgeon will carefully examine your skin to assess your skin type, the severity of any sun damage and the depth of any lines, wrinkles or scars. Skin resurfacing using a carbon dioxide (CO2) laser employs advanced technology to remove layers of skin. Your surgeon is trained in the safe use of laser equipment. He is able to specify the amount of energy transmitted to the skin’s surface by the laser beam, and can control the depth of penetration. Using the laser light beam, your surgeon can accurately and precisely vaporize damaged tissue layer by layer. The light beam remains on the skin for very short periods of time. Vaporized dead cells are then gently wiped away from the treated area. As your skin will be pink following your resurfacing procedure, it may take months before you can fully appreciate your new look. However, most patients feel that the results are definitely worth waiting for. Your skin will, of course, continue to age. Despite this, you can expect that the improvements in skin quality and texture achieved by resurfacing will make your complexion appear younger and fresher for many years to come.